März Galerie, Augartenstrasse 68, D-68165 Mannheim, Germany. 7th - 28th July 2018. The longest lunar eclipse of the century occurred on the day before the end of this exhibition on 27th July and was strongly visible in Germany. 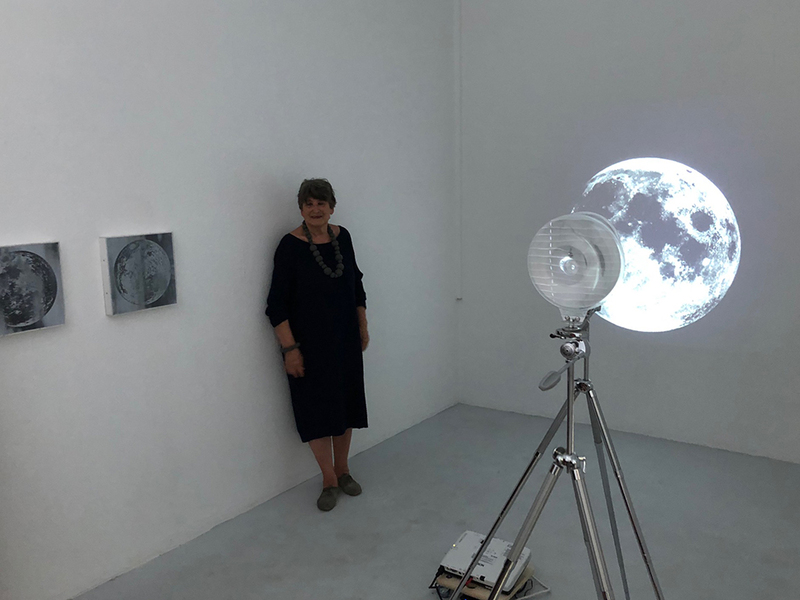 The projected moon footage was captured by NASA's Lunar Reconnaissance Orbiter Camera (LROC), which has orbited the moon since 2009 near the beginning of Cube 4x4x4 - März Galerie at Augartenstrasse in Mannheim. LROC captured this footage by orbiting around the moon to reveal the full detail of the lunar surface in high resolution black and white images. This is a rarely-observed perspective, as it is only possible to see the nearside of the moon that always faces the Earth. Two Fresnel lenses are mounted on 1960s Vivo tripods and when viewing the projection of the rotating moon through these lenses, it appears to revolve backwards. Fresnel's lenses were most frequently used to capture oblique light from a light source, allowing light from a lighthouse equipped with one to be visible over great distances. Here the lenses emphasize the three-dimensionality of the moon and reverse the moon's rotation to revolve backwards in time. 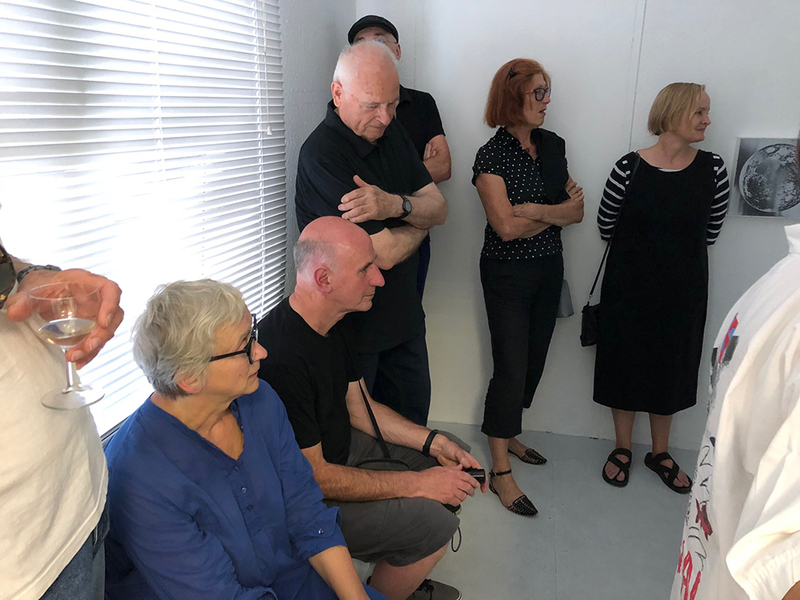 Below are images of the Vernissage with gallerist Blanka Heinecke introducing my work to other artists and guests. 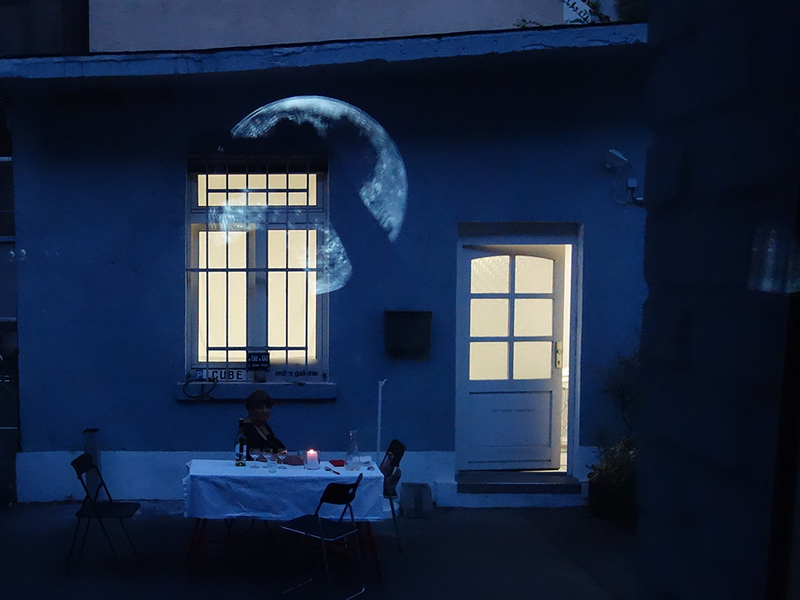 To the left of Blanka and the right of myself are two images of the moon made using Focal Decoders. These were developed collaboratively with David Burder from 3D Images, who invented Focal Decoders. 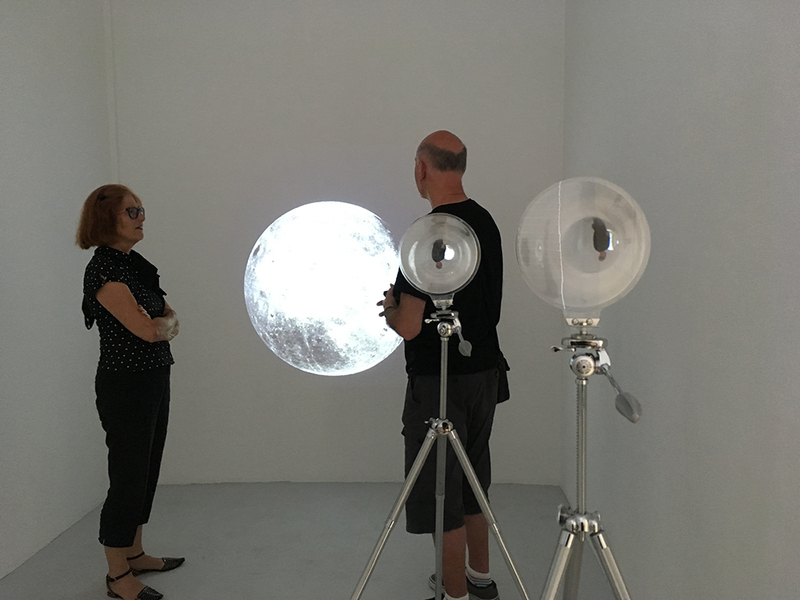 When walking past these doubled images, the topography of the moon reverses from negative to positive or vice versa. More about the year long project Résumé: 2008 - 2018 here. 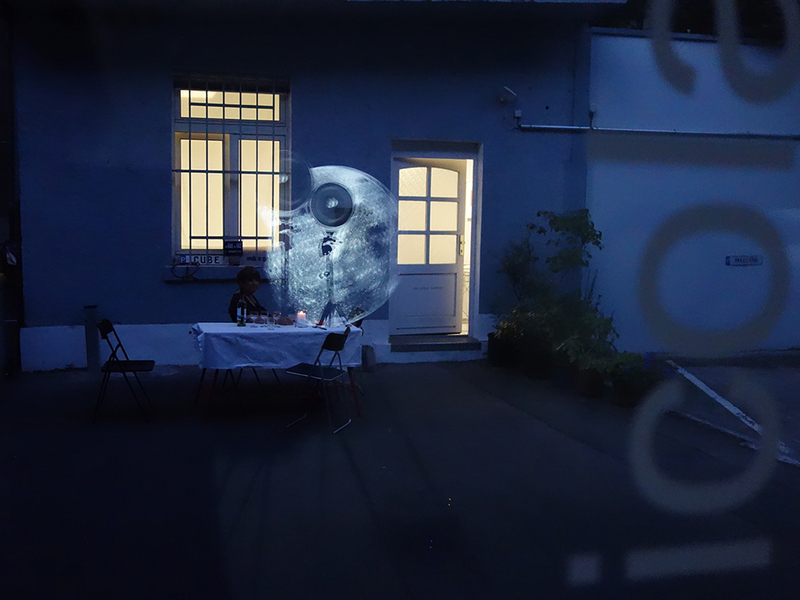 In memory of Blanka and her wonderful support in co-creating exhibitions. She died during September 2018 and will be much missed.